Biofeedback is a stress management technique that uses devices that give you information about your body’s physiologic response to stress. 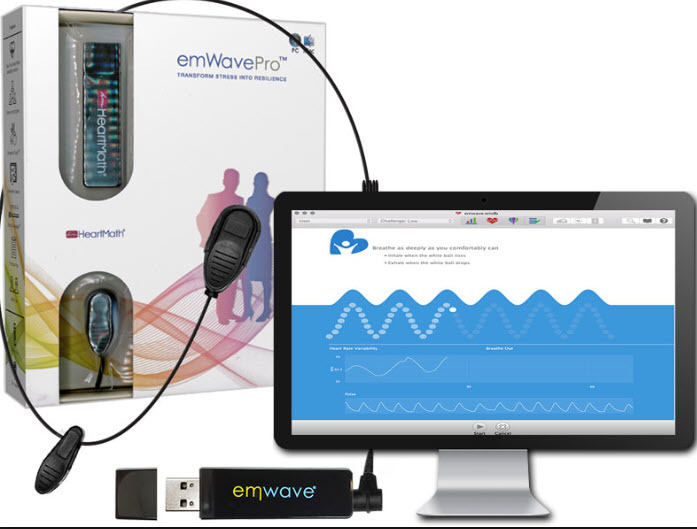 One such device that we have had some experience with is called an emWave. It allows the user to track their own HRV, and trains them to increasingly experience a state called “coherence” where the heart rate variability is more rhythmic and stable, resulting in less anxiety, more alertness and better brain function. Biofeedback has been around for many years, but there continue to be advances in both the understanding of processes and the technology for following them. Ernst, G. (2017). Heart-Rate Variability—More than Heart Beats? Frontiers in Public Health, 5, 240. Campos, M (2017). Heart Rate Variability: a new way to track well-being. Harvard Health Blog.